We all live really busy lives. 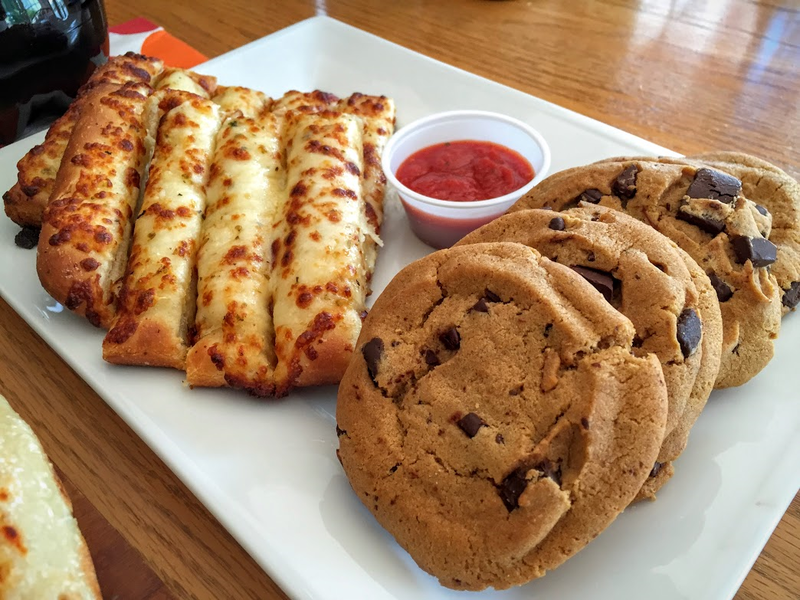 Sometimes the last thing you want to think about is what is for dinner. You also don’t want to constantly be ordering take out or eating peanut butter and jelly (yet always a delicious option, right?) Today, I’ll share with you a few tips that I follow to insure that my family at least 5 planned meals on the table and give you a printable tool you can use too! What works for our family is meal planning. Writing it down and being accountable. But we give ourselves a little wiggle room for a last minute craving or for a work meeting that just happens to run late. Once I determine what we are having for dinner, it is written on our very large chalkboard that is in our laundry room. I also only go to the grocery store once a week and plan for 5 meals. 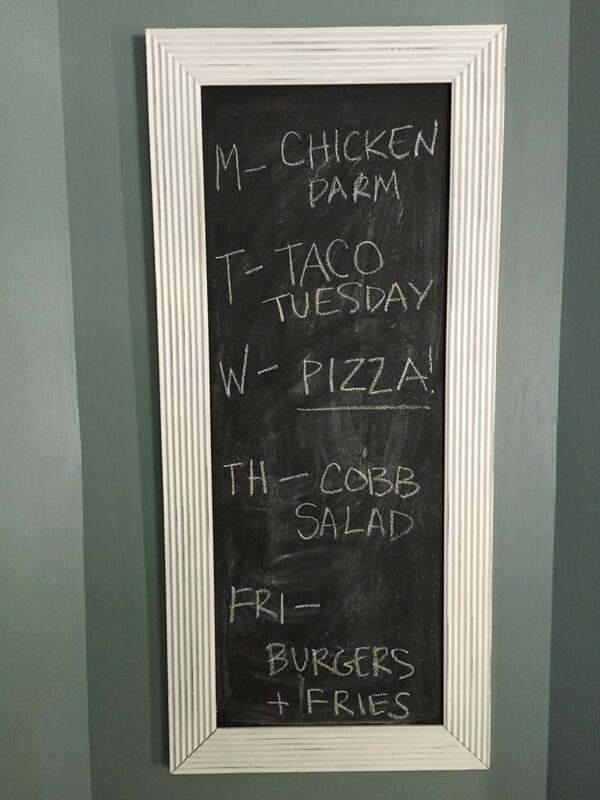 The chalkboard keeps us accountable for saving money and eating meals as a family. I think about staple pantry and fridge items that I can use in different ways and always keep on hand. Some staples I love are frozen chicken tenders, mozzarella, pasta sauces, different pastas, frozen veggies. What are things that your family loves to eat regularly? We may have tacos every Tuesday, but we haven’t eaten the same variation of tacos in quite a while. Get creative and mix it up. It’s no fun eating the same thing every week! 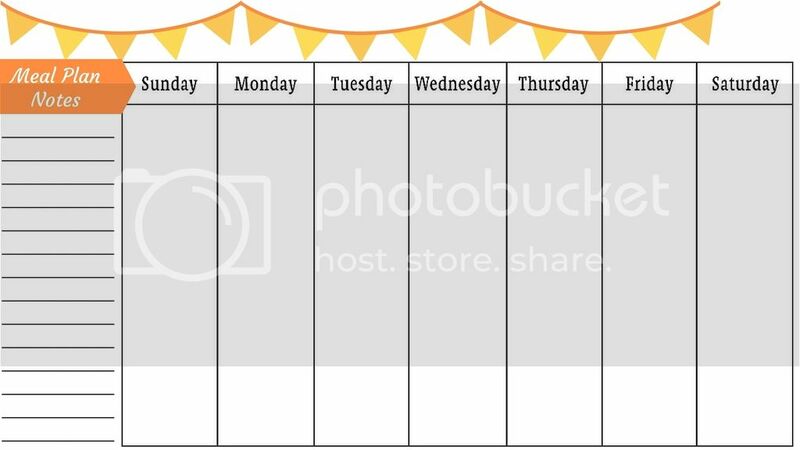 If you don’t have a jumbo chalkboard, use my printable weekly calendar. Just fill it out, hang it on the fridge and you can even take it to the grocery store with you for inspiration. For those nights that we have meetings or work runs late, we give ourselves a little grace and look to Sam’s Club for a quick dinner solution. 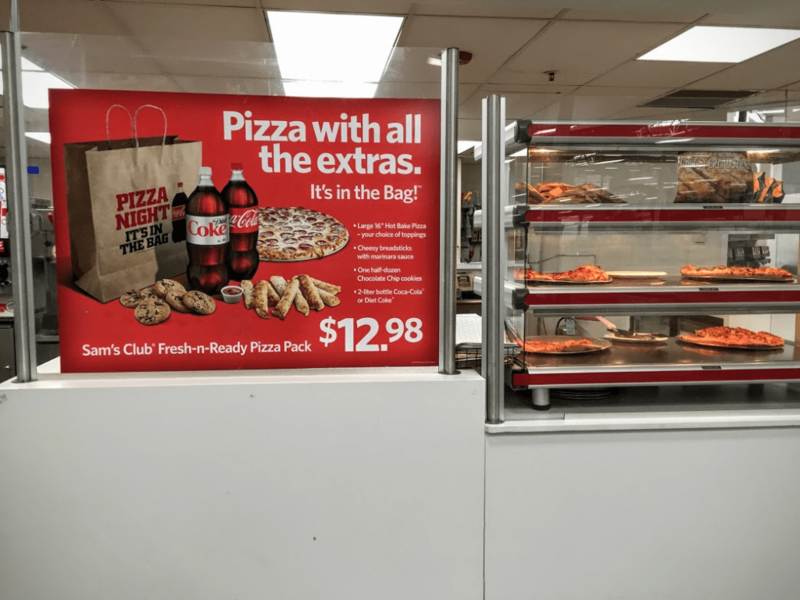 I can quickly run to my nearest Sam’s Club and visit the Cafe to pick up their Family Pizza Combo all for $12.98. It has every thing we need for a fast dinner and even leftovers for lunch the next day! We planned pizza on our weekly menu this week because I knew we just did not have time to make something faster than I could pick up! 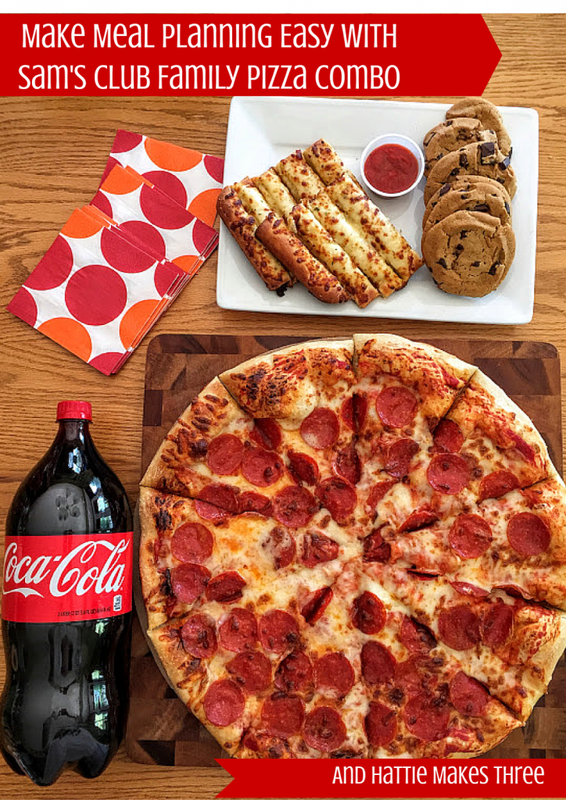 I was able to run in and run out and have pizza, cheesy bread, cookies and Coca-Cola on the table in no time flat! We were even able to use the extra time we had to take a family walk. How can you say no to that? I may have have even used paper plates to skip dishes too. Brilliant! Meal planning can be really easy, affordable and in the long run time time saving! Think about meals that you can add to your calendar and staple pantry items to add to your kitchen. 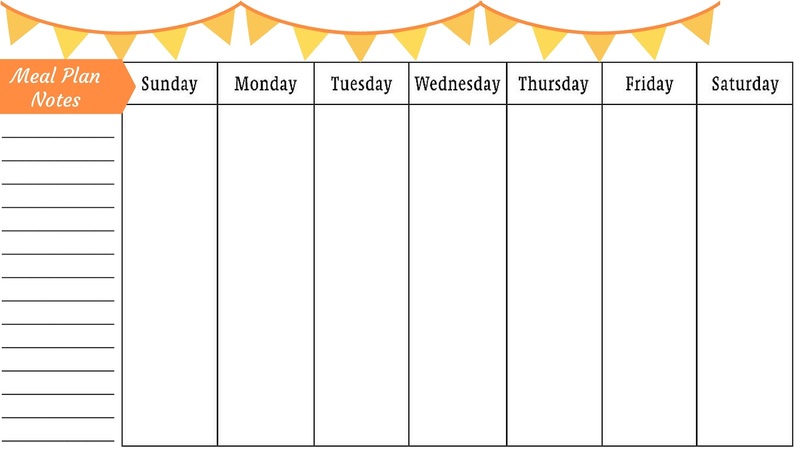 Be sure to print out or save the weekly printable calendar to use. Just print it out and hang it on the fridge! 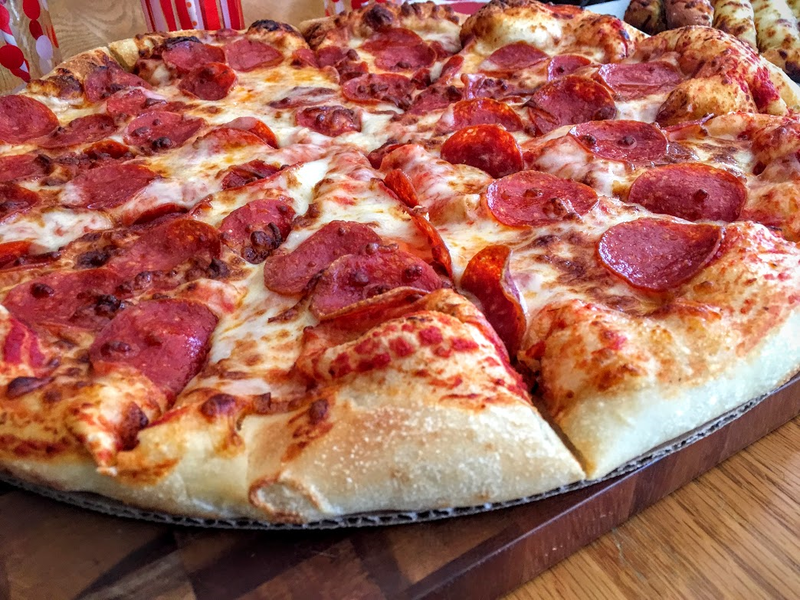 What would you do with your extra time if you picked up a Sam’s Club Family Pizza Combo? I’m thinking of putting another one on our weekly meal plan next week so I can have a little Mom Time! We love their pizza but haven't done the bag thing. Maybe one day!